In July 1956, Elvis Presley released what would become his signature song. Hound Dog became absolutely huge. Even now, everybody knows how it goes. Elvis, who was 21 years old, was already well on his way to being a star. But Hound Dog shot him into the stratosphere: the song was simultaneously top of the pop, country and R&B charts, staying at number one in the pop charts for 11 weeks. It would go on to sell over 10 million records worldwide — a figure which is still impressive, even by 21st century standards. 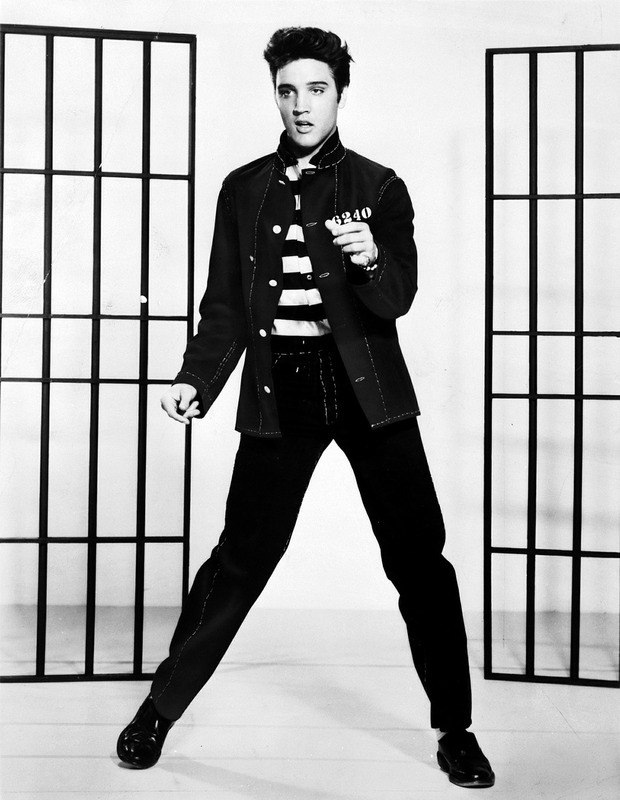 Its phenomenal success cemented Elvis’s place as the biggest figure in rock ’n’ roll. It also made him very, very rich. But Hound Dog wasn’t originally by Elvis Presley. It was first recorded four years earlier by Big Mama Thornton, a black woman from Alabama. It was a decent success for her at the time, but no where near as big as the Elvis version. Thornton was an incredible blues singer, who toured in the 50s and 60s with the likes of Muddy Waters, BB King and, later, Janis Joplin. Her career was moderately successful, but it had peaked in 1952 with the release of Hound Dog (it sold around 500,000 copies), and she never got anywhere near those heights again. She died aged 57 in 1984 without ever receiving the recognition she deserved. Hound Dog was originally recorded by her, but Elvis, a white man, is the person remembered for it today. With a song like this, it’s easy to see why Elvis often gets levelled with accusations of appropriating black music. Why is he seen as the father of rock ’n’ roll music when he didn’t invent it? Why did it take a good old white boy to popularise a genre which black Americans had been playing for years, and in the process become one of the richest people on Earth? It’s clear to see cultural appropriation going on here; Elvis clearly stole music from the black culture of the time, passed it off as his own, and hugely profited from it himself. Except it’s not that simple. It’s not really simple at all. Rock ’n’ roll is essentially a speeded up version of the traditional blues. There would be no blues without black culture. But it doesn’t mean that white people cannot play the blues. (Or any other race for that matter — we’ll come to that later.) It doesn’t mean that white bluesmen and women are appropriating black culture. Because the history of the genre is not black and white. It’s so much more complicated than that. A little history lesson: blues music has its roots in the slave trade. Africans who were forced across the Atlantic by Europeans took bits of their culture with them. Features of West African music such as call and response, polyrhythms and blue notes are still heard in the blues today. Some blues instruments have their roots in the continent. The music would have started as field hollers and work cries in the plantations of the Deep South; by the time Emancipation came about in the mid-19th century, the blues was born. But this is not the whole story. Of course, the genre’s lineage starts in Africa — but this is only half its ancestry. Its other half is white America. Like President Obama, the white part of the blues’ history is often unnoticed or seen as irrelevant. The other half of blues music comes from European folk music. Firstly, the harmonic structure of blues music comes from Europe and bears little relation to African melodic styles. The ubiquitous 12-bar progression comes from European chords. European instrumentation was also adopted: the guitar, in its classical form, comes from Europe. And no instrument is more strongly associated with one particular genre than the harmonica. Originating in Vienna, the instrument took off among black Americans in the 19th century as it was small, cheap and incredibly expressive. So the history of the genre is complicated. It’s quite remarkable that the mix in cultures happened at all, given the extreme segregation of American society at the time. Playing the blues would be one of the only times whites and blacks would mix. The genre was obviously dominated by black artists in the early days, but there were plenty of white artists too. Monroe Moe Jackson, Harmonica Frank, Jimmie Rodgers,- these were all white bluesmen from the early 20th century. Some may now be labelled as country, rather than blues, singers. But this split in categorisation only came about with the advent of commercial recordings. Record labels felt they should inform their customers of the race of their musicians, so categorised black artists under ‘race’ or ‘blues’ music, and white artists under ‘country’ or ‘hillbilly’ music. The music was so similar that even the record labels got it wrong sometimes: Columbia mistakenly released a record by duo The Allen Brothers as race music without realising the siblings were white. This is why the rejection of integration and a ‘you stick to your music, we’ll stick to ours’ mentality is so ridiculous. It happens even now with hip hop, soul and jazz records — white artists are told that they should not appropriate black culture. Well, the history of these genres is too complicated and intertwined between societies to be designated to one race. Even during segregation, blues did something that sometimes only music can do: it brought people together. The great thing about the genre is that it is one of the least exclusive art forms out there. Everyone can relate to the prevalent themes of blues music: love, desire, injustice, hardship, God and drinking. Now, there are clearly some songs which relate to the struggles of being black during a system of apartheid. You probably wouldn’t hear a white artist playing Fats Waller’s Black and Blue (“My only sin/Is in my skin”). But, take another song about the brutal treatment of black people — most hauntingly rendered by Billie Holliday — Strange Fruit. It’s an extremely evocative piece of music, and can be painful to listen to once you realise the ‘strange fruit’ she sings of are the bodies of lynched African Americans hanging from the poplar trees of the South. But the song was written by Abel Meeropol, a Jewish-American New Yorker. He had no experience of being a black person in the American South, but created this art which spoke to an entire society. Which brings us back to Elvis and Hound Dog. Yes, the song was originally recorded by Big Mama Thornton — but she didn’t write it. It was written for her by a couple of Jewish American guys called Jerry Leiber and Mike Stoller, who were amazingly just 19 years old at the time. And it’s an example of how assigning certain music to one race or the other is too simplistic. The history is more complicated than it looks. Elvis Presley sung songs written by black people; he sung songs written by white people. And he sung in a genre which was created by both.